All online gaming business in Dominica operates under the terms of an agreement drawn up between the gaming company and the Government of Dominica. The internet gaming business is STRICTLY OFFSHORE and any agreement will be specifically strong on this issue. All gaming companies must register under the International Business Company Act of Dominica. Any company licensed to operate online internet gaming business in Dominica is entitled to many advantages. Telecommunications: The telecommunications system in Dominica is one of the world's most advanced systems, allowing for fast and easy communication worldwide. Dominica provides such service in the Caribbean through fiber optic and satellite facilities on the most modern switches and carriers. Workforce: Dominica has a large, young and skilled work force. Work permits are available for persons that work in companies that must import technical and managerial personnel. 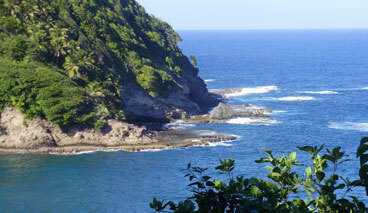 Tax benefits: Offshore businesses domiciled in Dominica enjoy generous fiscal incentives and certain tax exemptions. Customs duty concessions are given for imports needed to carry on Internet gaming. Immunity is granted to online gaming companies from income tax, withholding tax, sales tax and other taxes. Offshore companies, such as online gaming companies are not subject to foreign exchange control.